122 Eagles Crest Way #14, Lake Lure, NC.| MLS# 3434019 | Carolina Properties, Real Estate Firm in Lake Lure NC, Offering Real Estate Services and Vacation Rentals in Lake Lure, Mill Spring near TIEC, Tryon International Equestrian Center, and Chimney Rock NC. Free MLS search 24/7. We are here for you! PHENOMENAL Lake and Mountain Views! Best views of Lake Lure! Overlooking Lake Lure, Chimney Rock and all the glorious mountains. Very private high-end home in Rumbling Bald Resort "The Ridge". 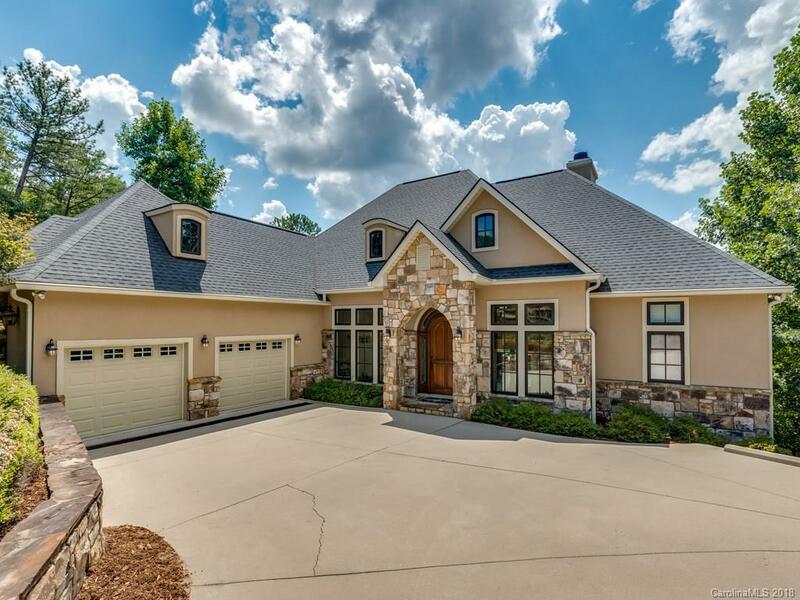 Built By Bittle Incorporated "Custom Homes" This home has a 27-foot vaulted ceiling in the great room with a wall of windows overlooking the lake and mountains. 10-foot ceilings throughout the rest of the home. All top quality fit and finishes. Wonderful loft, Office and Bonus Room set up as Extra Bedroom. Large double decks with million dollar multi-layered lake and mountain views. 3 Fire Places. Most Furniture/Furnishings stay with the home upon acceptable offer. This is truly THE MUST SEE home in all of Lake Lure. Just a short drive to the Tryon International Equestrian Center, Local Wineries, Chimney Rock, Asheville, Hendersonville, The Blue Ridge Parkway, Mount Mitchel and all the best Western North Carolina has to offer. This home and property is meticulously maintained with Love and Care.